Luano is a a fantastic PRE stallion who is a very interesting prospect for dressage. He has only recently been backed as the previous owners believed that the horse should not be backed until he is fully grown. He has so much to offer than what you can see. He has very nice, straight movement with cadence, three good paces, walk, trot and canter. He is very easy to school due to his non dominant character. In fact he will become the kind of horse that will walk through fire for you. He will never question who the leader is. When he has finished his schooling, he will be like the ‘no questions asked’ kind of guy who will go in, do his job and do it brilliantly! 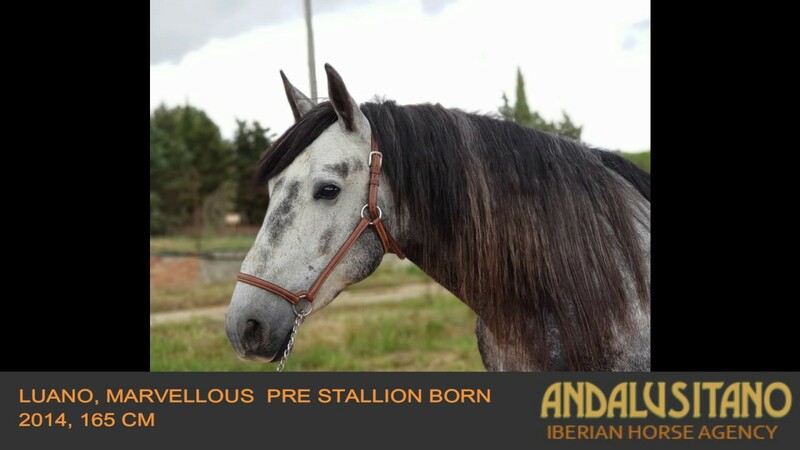 He is suitable for someone who really understands quality, but does not need to flaunt it or show off as this horse will do you proud in the competition ring!